He wasn't feeling well ... He was troubled with coughs .. he coughed again .. He looked at his hands with horror as there was blood on them .. He went to doctor ... who promptly told him that he had throat cancer .. due to years of smoking .. He thought how he loved smoking .. he used to smoke 2-3 packets a day .. of the costliest cigarettes ..
Now he was bed ridden .. doctors had given him only 3 months time ..
His remaining time was filled with pain and regret ..
His only thoughts while dying were why did he have to be a smoker? Why did he have to treat his body so bad? Why did he have to play with his life for few moments of pleasure and high? His paths to death was through cancer obscured by the smoke of cigarettes. Day 3 brings letter C to me .. my word C for Cancer. You sure picked a theme like no other and I'm hooked. I read both A and B and I'm looking forward to the rest of the many different ways to die. Didn't know there were 26!! I am also your latest follower. Thanks Inger for the kind words. 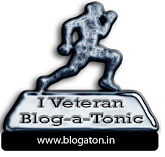 And Thanks again for being the latest follower of my blog. Good plot but I didnt like the narration. I see that you are an amateur. Avoid those dotted lines after each line and try to present your story more interestingly with descriptions about the person- elaborate on this thoughts, what time of the day and weather it was, what dress he wears. These details would give a picture in the mind of the readers and get them engrossed. Good luck. Thank you very much Malavikka for the wonderful thoughts on improving my posts. I would just like to clear one thing that through 'Paths to Death' series my aim is only to focus on death scene or the scene leading to the death. Amateur I am still learning kindly provide your critique on other stories on the blog too. Sure Titli I would visit your blog as soon as I could. Thanks Amrita for your support and admiration. Thanks Tina and can I tell you a secret? The number is greatly inflated because I read lot of comics too and those are listed on GoodReads as well. If you want to know the number of books I have read till now this year so I have finished 31 books and Graphic Novels. Rest all are single issue comic books. :) I have explained that much in my reading challenge details.